Police arrested on Saturday a farmer in the province of Biliran for allegedly violating the Comelec gun ban. 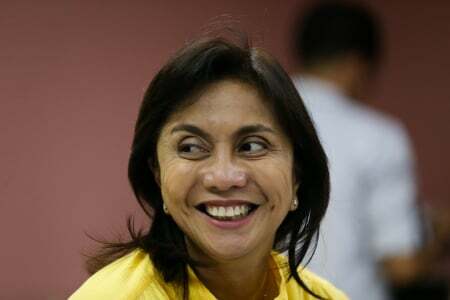 Vice President Leni Robredo went to the Supreme Court, on Tuesday, sitting as the Presidential Electoral Tribunal (PET), to pay the first installment of the P15.5 million fee required for her counter protest against Ferdinand “Bongbong” Marcos, Jr. She vowed to her supporters that gathered along Padre Faura that she would fight for their votes. The irregular purchase of the Rosenbauer firetrucks from Austria cost the job of Interior Secretary Ismael Sueno. According to DILG Undersecretary for Public Safety Jesus Hinlo, Sueno was sacked because of his involvement in the purchase of the firetrucks without public bidding. A poll official denied posting a video, which supposedly showed a Smartmatic engineer meddling with a CSS kit during the stripping of vote counting machines last year in Sta. Rosa, Laguna. Commission on Elections spokesperson James Jimenez called out an article on the Pinoy Trending News, which claimed that he posted a video of an engineer meddling with the stripping process. LOOK: Underwear as campaign souvenir?